Helo my dears! Oi oi, the weekend is here and it’s a good one! New Year’s Eve with all its excitement, celebration, and promise. What are you doing to ring in the new year? My little family is hitting the road for Ashland, Oregon, where one of my closest friends will be getting married – in a little used book shop! – on new years day. The couple is made up of two writers and I think the idea of binding their union amongst the books is so freakin’ sweet. It promises to be an awesome weekend and I can’t wait! 1. 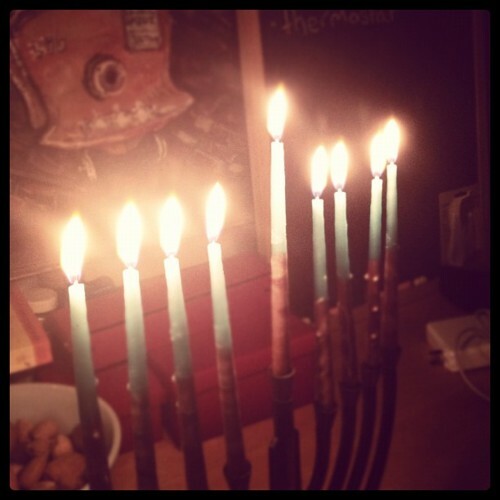 Finally having a proper Hanukkah, the last in the line of awesome holidays we observed this winter. Or, alternately, Being An Atheist. Everyone is different and I can only speak for myself, but I feel really lucky that I was able to grow up exposed to – and participating in – all sorts of customs and religions and beliefs. I never had any sacred dogma pushed on me by my parents (moral yes, religious no) and that allowed me to make my own connections to various spiritual and cultural rituals. Now as an adult, I love that I get to celebrate lots of holidays, and each one has it’s own cherished meaning to me. As a mother, I look forward to providing the same opportunity for Waits. It comes in such spurts for me! Sometimes I couldn’t care less about clothing and I feel so totally lost about how to dress myself and what might appeal to me. Other times, like recently, I’m completely inspired by everything, delighted to play dress-up each morning and empowered by feeling I get from putting in a little extra effort. I’ve been poring over fashion blogs (alas, there aren’t many that match my style – I never claimed to be trendy!) and tumblr feeds and Pinterest. What excites me most these days is multi-toned candy-colored hair, Helsinki street style, vintage frocks, awesome leg wear, and overalls done right. Where do you find your fashion inspiration? The website Raw Food World had a special holiday sale (discount code Holiday18, not sure if it’s still good) that I just couldn’t pass up. They offer “at-cost” specials and with the coupon on top – whooo boy! I was a very happy camper when this box of goodies arrived! I got: 1 lb Maca, 1 lb Mesquite, 1 lb Irish Moss, 3 x 1 lb bags of kelp noodles (they last forever in the fridge and they’re really expensive here in town), some Rawmesan “topping” that I’ve always wanted to try, a 1000-tablet pack of Chlorella tabs (great for traveling! ), a jar of Spearmint Tooth Soap, and 2 tubes of Hurraw! raw vegan lip balm. 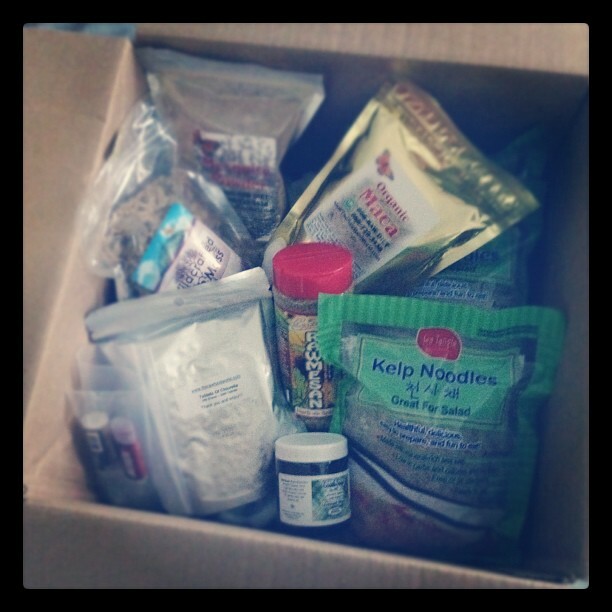 Now I’m stocked up and super excited for superfood smoothies, supergreen cereals, and a super high-raw winter! Also! reflecting and re-centering before the new year // lists! // black cherry lip balm, mmmm // finding the shiny side // knowing that happiness and success and relationships take work; working // Harley snuggles for Glee marathons // the amazing readers here on Bonzai who never ease to touch me and inspire me and brighten my life // road trips! . . . Happy weekend, and HAPPY NEW YEAR! 2) Being a citizen of a world: I finally made a lifelong dream come true this year & went to Europe, with the love of my life! I feel so lucky to have that experience under my belt. Now, If only I can get the trip & pics up on my blog. 3) Family: This is a surprising entry on my list, as I have a tumultuous relationship with my own family. My husband’s family has made me ‘get’ all those movies where the end message is that family is important & there’s nothing like it. I always thought those were so cheesy, until this year. Right now I love my cat on my lap as I leisurely look at blogs…especially the delivery shot on this one! 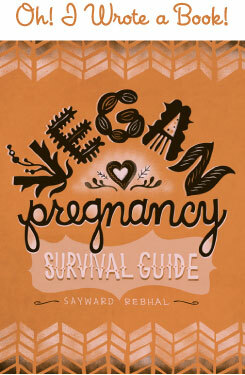 I’ve been contemplating treating myself to a couple raw or vegan goodies. I think you tipped the scales ;) Enjoy it! 1. being inspired every time I look at your blog! What a wonderful idea for 2 writers to be married in a book store and used is even better! Please, if they will allow you, share photos. I’m so intrigued! Happy New Year! 1. Writing my very first Love List! 1. My new juicer! I haven’t ever been able to afford one before and it is seriously the best (and most useful) holiday present ever! Now, every morning is a green one! 2. Staying in this nye: My husband and I aren’t the going-out-on-big-holidays type folks and I am really looking forward to getting comfy under blankets, watching a funny movie and making new year’s lists. 3. Seeds! I’ve never started plants from seeds before but my aunt gave me a “Think Spring” gift with a paperwhite bulb and seven seed packets, and I’ve been reading up on all the old Bonzai gardening posts :D Can’t wait for February!! 4. Citrus fruit. It’s all beautifully in season right now and there’s nothing like a lemon, lime or orange to lift your mood both aesthetically and culinarily (is that a word? sure. ), especially in the midst of all the gray, mid-30-degree, drizzly weather Ohio has been having this winter. just wanted to send a big THANK YOU! i’ve been loving your blog and getting really inspired by all your recipes. Curious which fashion blogs you look at? I’ve always had a interest in clothes, fashion, details. USed to make me feel superficial but not it’s just a part of me and so okay. I’m a lot of things these days. Meant to say not now..wicked little iPad.. The ‘holidays’ are were fun but a teensy bit over, and now our holidays are starting. Tomorrow! We’re going camping in Tasmania for a few weeks. Yaaaaay! Homemade iced tea. In all sorts of variations, with black, green, herbals and with all sorts of flavourings and other stuff – it’s glorious, and a much loved refreshment in this past few days of 39C (102.2F). Ninety-Six. My score (tertiary education rank) for getting into uni, which means that I get into the clinical nutrition course, which means I am super stoked. Plus, 96 is pretty damn good in general, so I’m pretty pleased with myself. She’s been working in blockades and other protection of Tassie’s [non world heritage listed, but should be] old-growth forests for ages and has taken on a solo mission to personally protect a coupe that was promised to be protected by our Prime Minister and Forestry Tasmania in August 2011. She spent Christmas day in her sit, opening her presents with her family over Skype, 60 metres above the ground. I just spent the last day in bed so getting up today was the best feeling in the world. I am loving the beautiful white snow and sunshine outside. I am loving Hel Looks (thank you for reminding me:). I am looking forward to starting my new university semester on Wednesday. I am excited about planning 2012. And, lastly I love how “down to earth” and unpretentious it is, it makes me smile every time you post something new. 1. My cats. They are simply brilliant. 2. My friends. I’ve been contemplating last year’s events and how lucky I am to have them. 3. Black tea. Not the healthiest of drinks, I know, but if a nice cuppa manages to calm and soothe me, it can’t be that bad either. 4. Fried potatoes – I could just eat them all day (and sometimes I do). 5. A little book called “Save the world for a fiver”. Lovely ideas to help you make this world a better place. Everyone should have a copy of it, so I’ve started buying loads (mostly second-hand) and giving them to friends or just leaving them in cafés etc. for anyone who might be interested. 6. Care2 – an internet platform for people who want to do good. I’m very concerned about the state of our planet and where it’ll all end, and get frustrated because most people seem completely ignorant (or just choose not to see what’s going on, which is even more frustrating). Care2 has almost 18 million members and makes it so easy for them to do good: by signing or setting up petitions, distributing information, or making donations without having to spend any money (!!). It’s sad and inherently consumeristic, but I’m loving the Victoria’s Secret Semi-Annual sale. I need new pj’s! Oh thank you so much Nina!